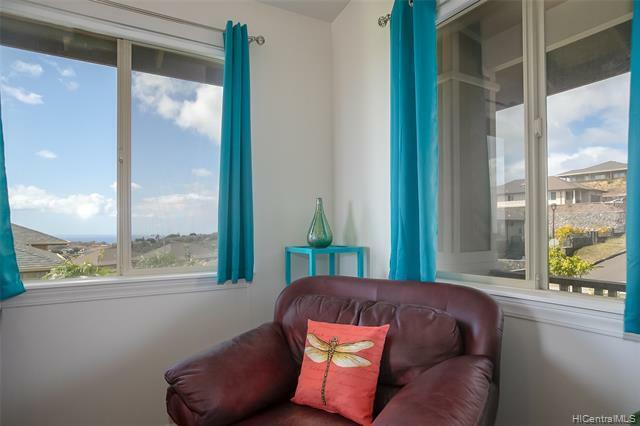 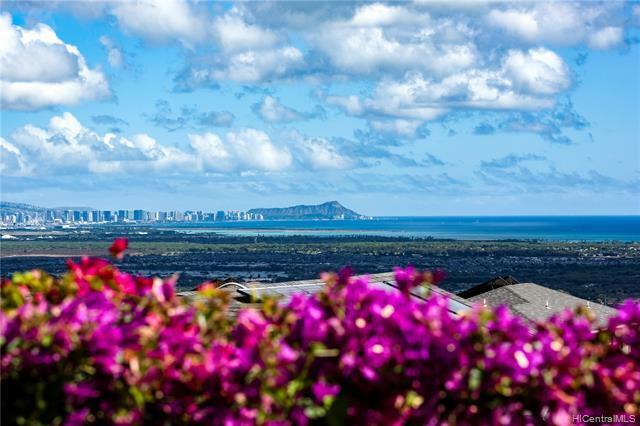 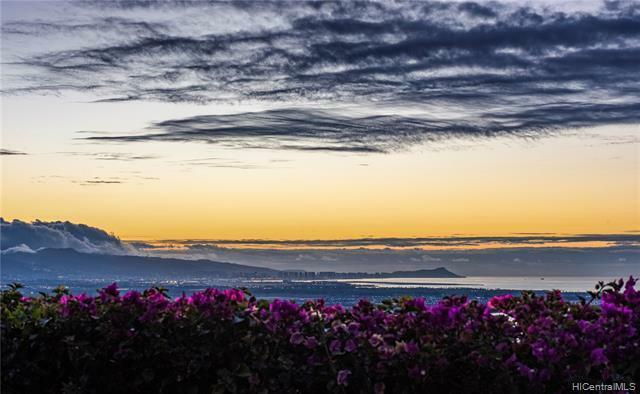 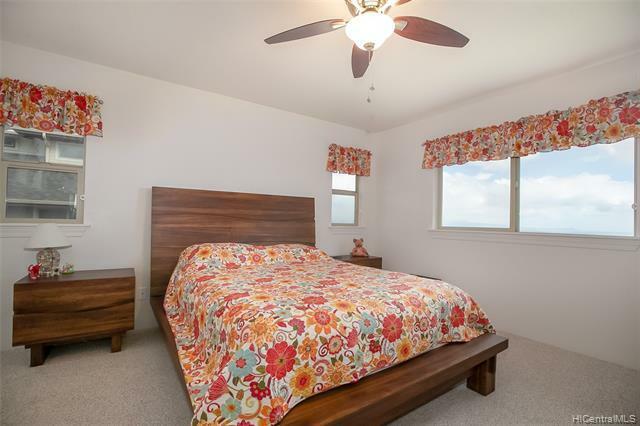 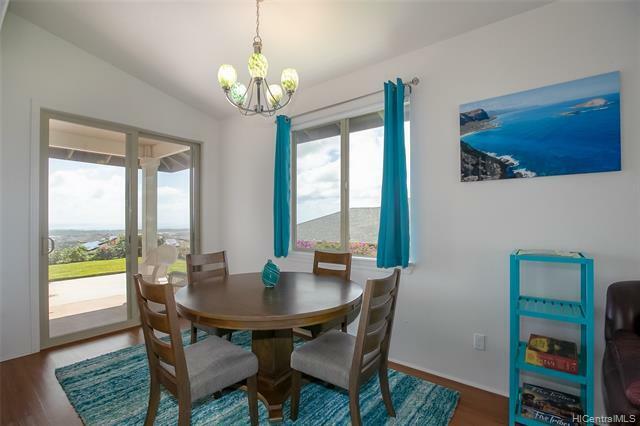 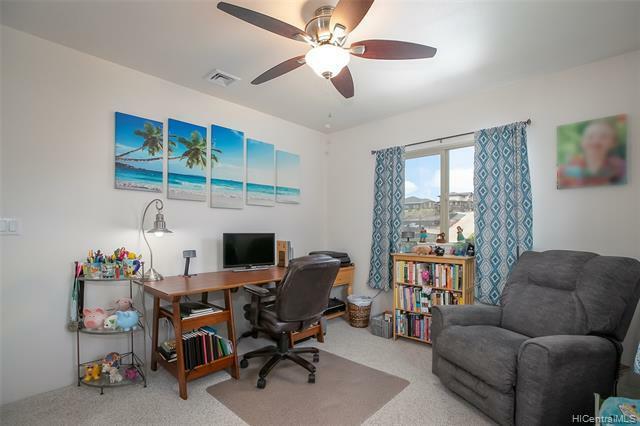 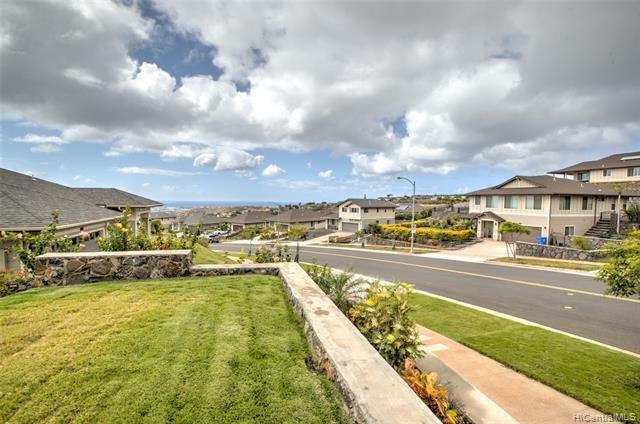 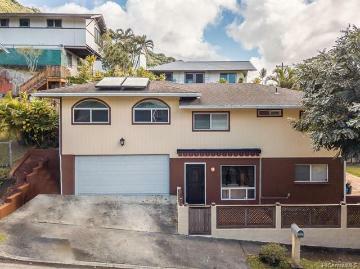 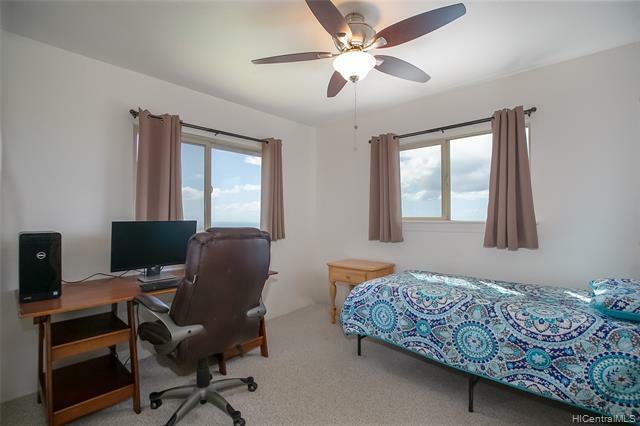 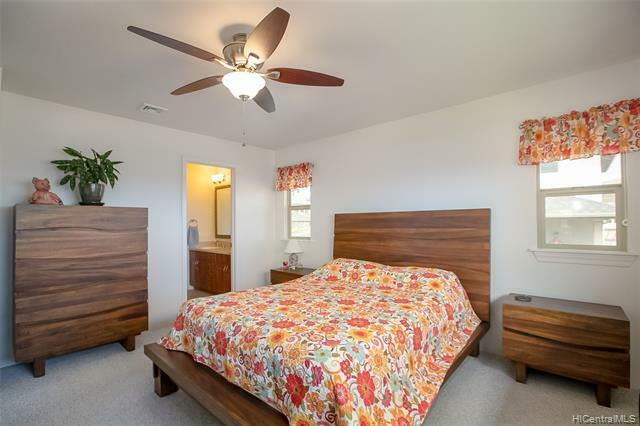 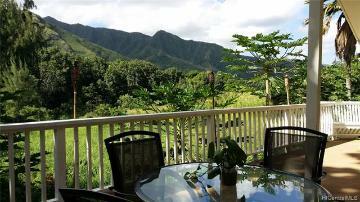 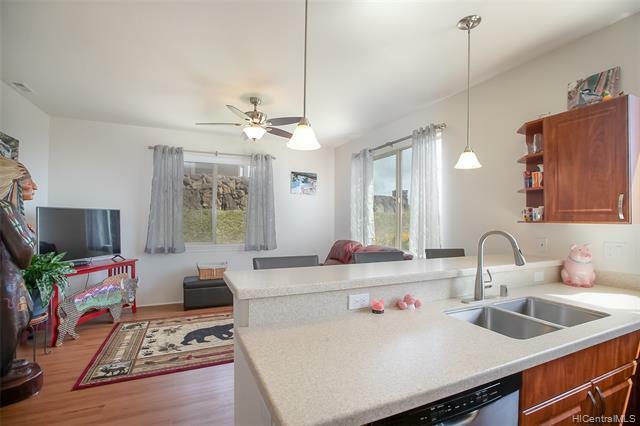 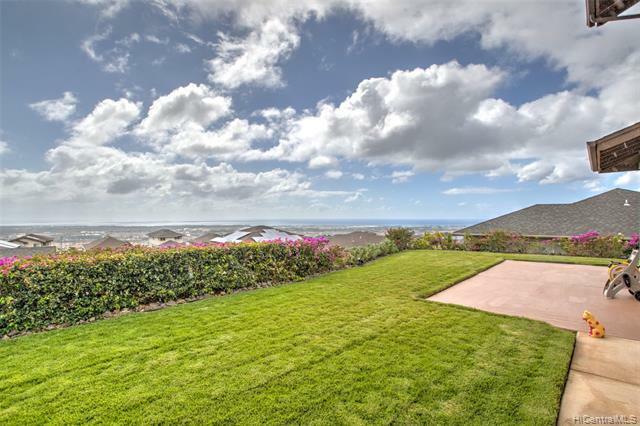 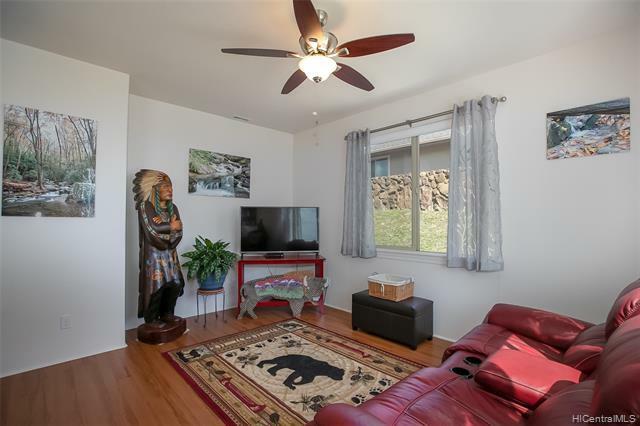 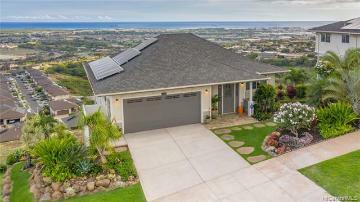 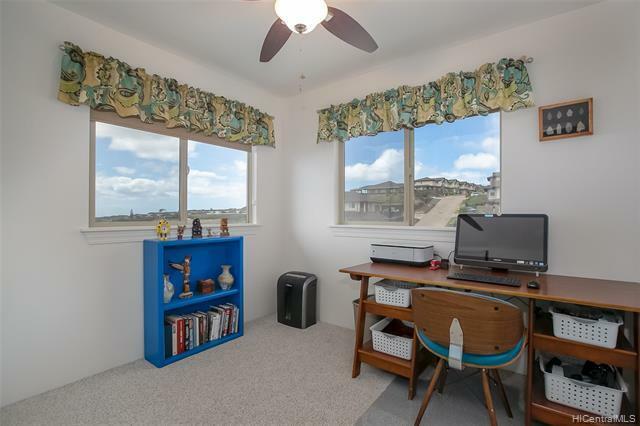 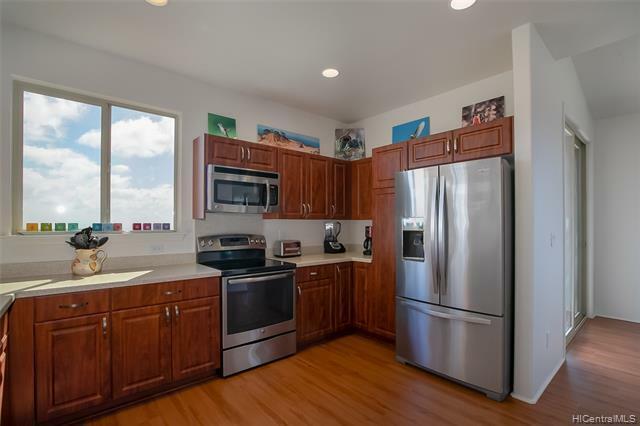 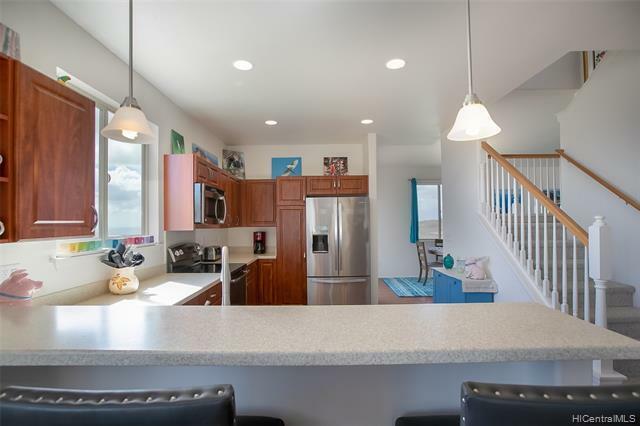 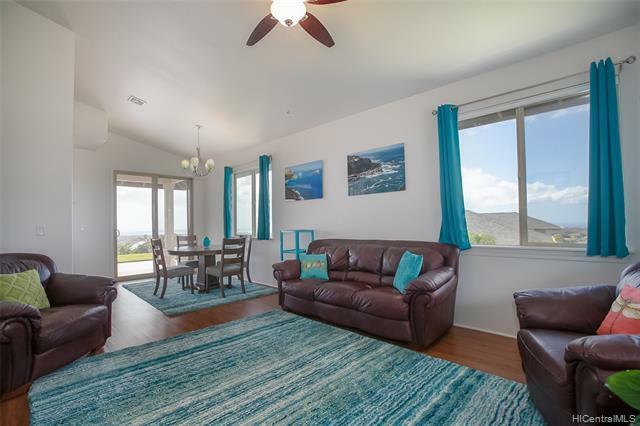 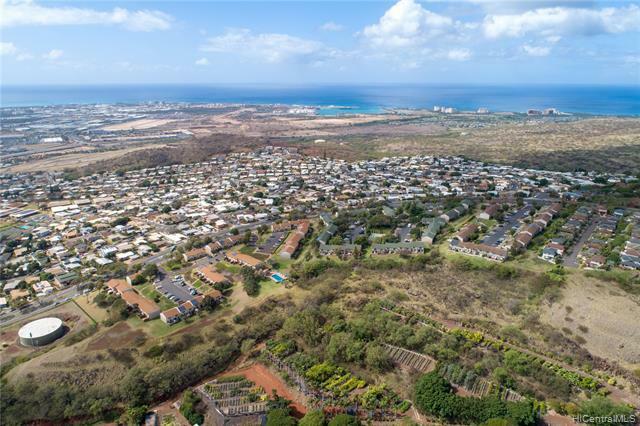 SPECTACULAR PANORAMIC OCEAN VIEWS that stretch from Diamond Head to the Leeward Coast capturing breathtaking sunrises, sunsets & twinkling city lights atop highly desired newer community at Kahiwelo at Makakilo PH 2. 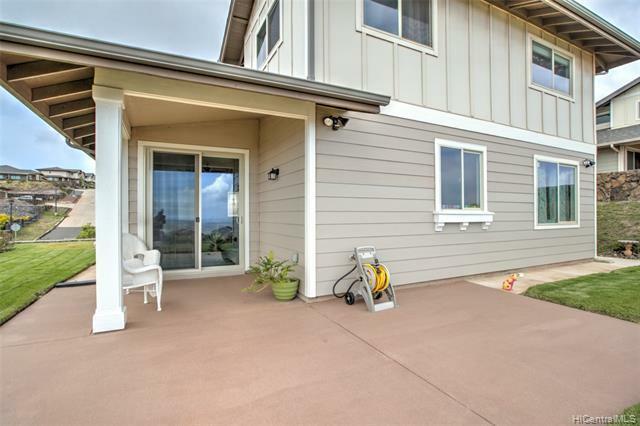 This immaculate, move-in-ready home boasts pride of ownership throughout w/central A/C, solar water heater, high ceilings in the living room & dining area with an expanded covered lanai and wrap around walkway to relax & enjoy indoor/outdoor living all year round, separate family room, open kitchen w/breakfast bar, stainless steel appliances, master suite w/walk-in-closet, upgraded ceiling fans, professionally landscaped yard with sprinkler system & lava rock walls, steel-framed construction, finished 2-car garage, extended driveway & adorable front porch w/great curb appeal. 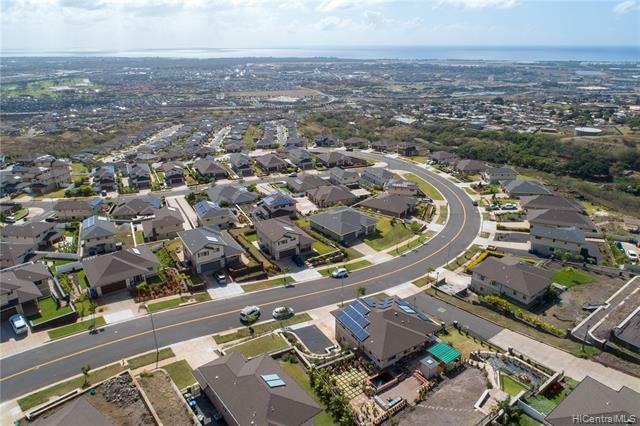 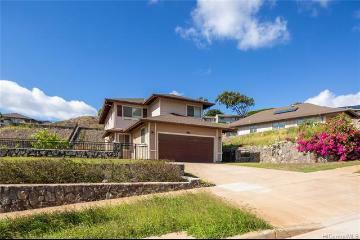 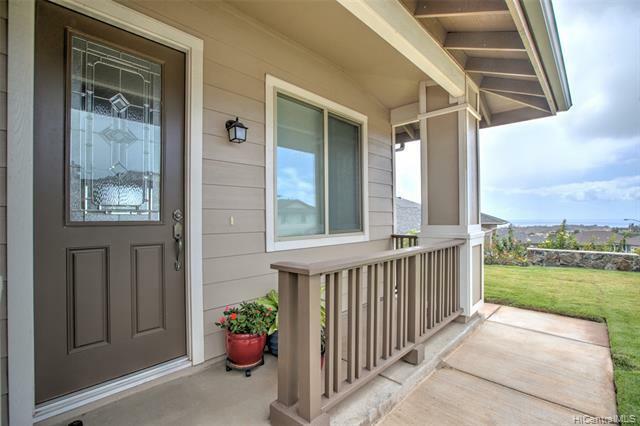 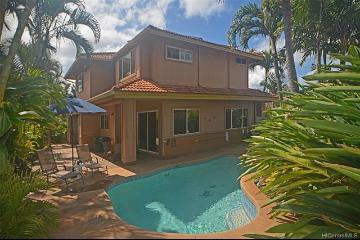 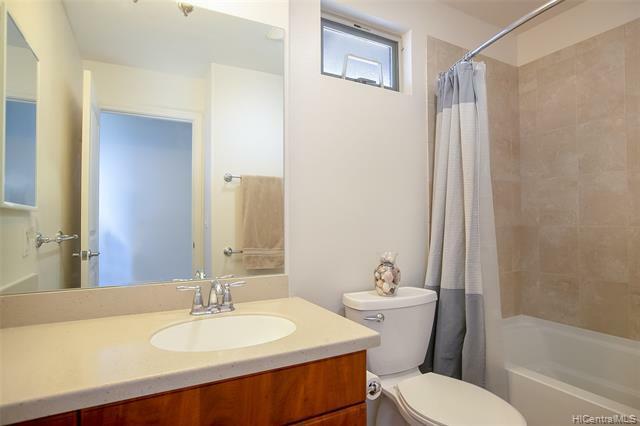 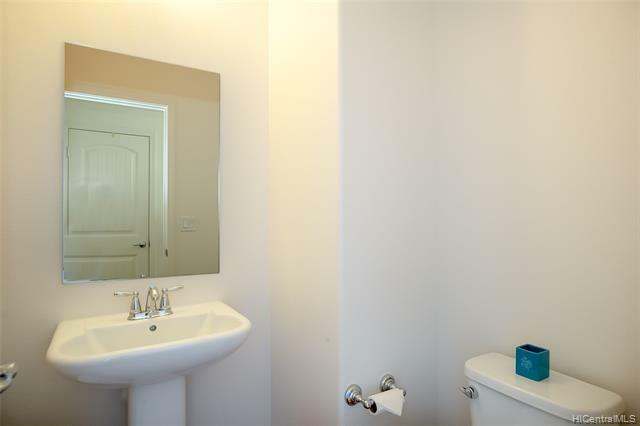 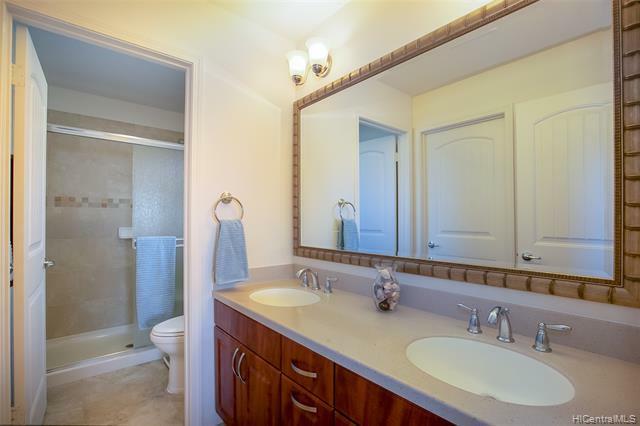 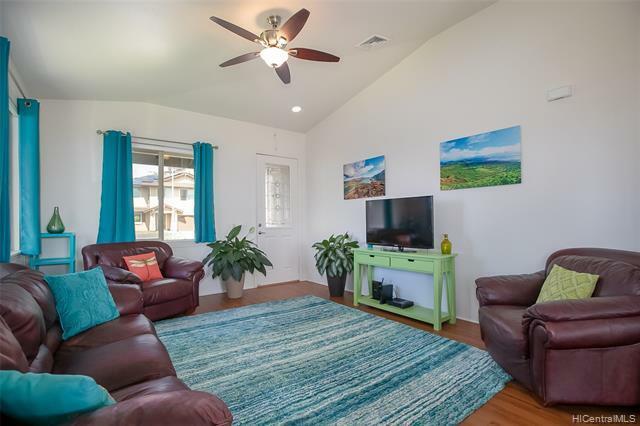 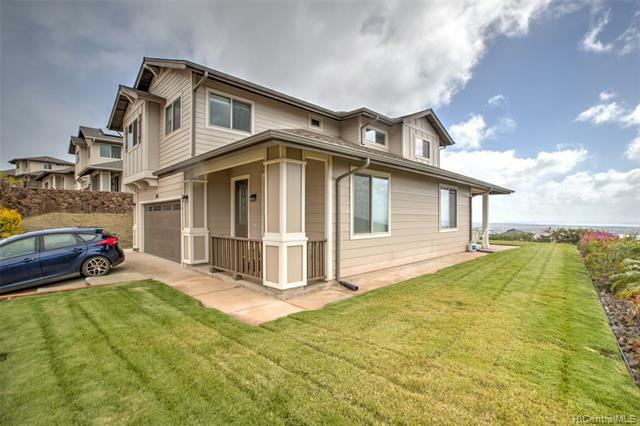 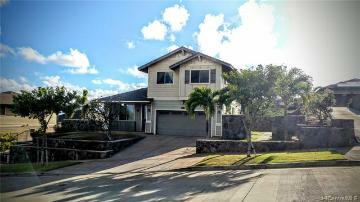 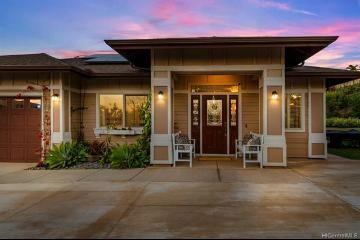 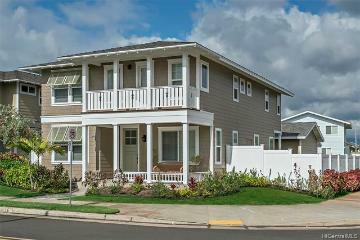 92-865 Welo Street, Kapolei, HI.